The 2014 Telecoms.com Awards were hosted in a highly entertaining event last night, gathering together 170 industry figures from across the telecoms world. The Awards, which took place in London’s Barbican, recognized innovations from 16 categories that covered the most topical areas of the industry. 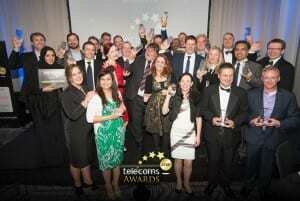 The second Telecoms.com Awards reinforced their status as a key event in the industry calendar, with entries coming in from all parts of the sector, including operators, vendors and service providers across the world.